If there’s one thing fans of Conor McGregor know, it’s that he talks a big game…but he also backs it up in the ring. The man rivals Muhammed Ali in trash talking ability and, like Ali, he also delivers on what he says. Be sure that whatever it is you’re promoting is delivering value to your audience. In the digital marketing world, content is king so be sure that your promotions are true to what your content delivers. As Conor says, “precision beats power,” so always be precise. Ensure that your content answers your audience’s most pertinent questions or desires in a precise and accurate manner, whether you’re selling expensive gaming chairs or the most expensive soccer cleats. Conor is a well-dressed man. 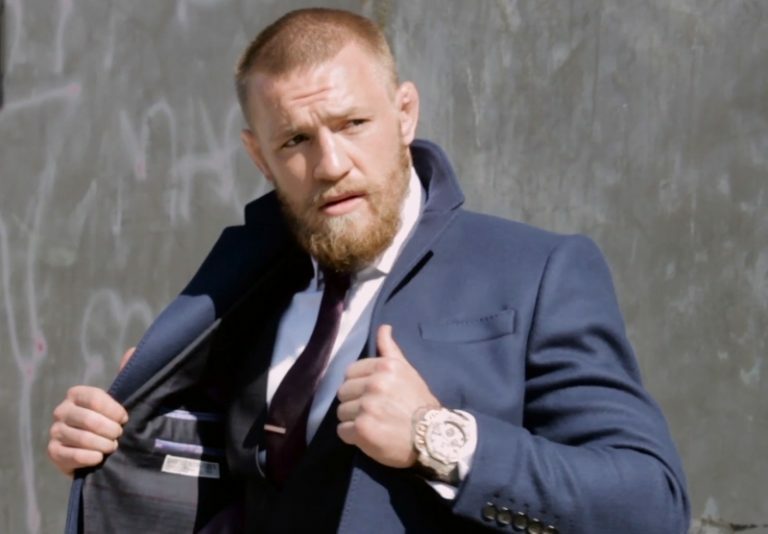 His taste for three piece suits and high end brands like Dolce and Gabbana is one of the elements of his personality that makes him ‘Notorious.’ Conor’s style is flashy and in your face – like the man himself. These style lessons can be applied to your digital marketing. Be sure your web design, logo, and branding reflect your personality or the image you are trying to project. Make sure your website employs thematic design elements that fit your product or service and will be appealing to the audience you are marketing to. When it comes to training, Conor is “not a fan of routine.” He never has a set schedule. But the one thing that is consistent in his preparation for fights is that he gets up and gets moving. It is a good idea to set a monthly content creation schedule but follow your instincts and be willing to adapt to new information. Adjust as new content ideas come to the fore. If your audience seems to be moving in a certain direction or following a certain trend, be sure you are there first before your competitors. Conor is also know for saying, “Timing beats speed.” His knockout of Jose Aldo in a stunning 13 seconds was a perfect example of this. Be timely with your content creation. If there is a big event that a large portion of your audience will be involved in, be sure to publish content related to it. Utilize Twitter hashtags to get your content in front of the most eyes when big events take place. If you run an ecommerce site, a timely abandoned cart email can be just the thing to get a conversion from those buyers that may need an extra nudge to make a purchase. Prioritize making your website as technically sound as possible to ensure you are delivering the best possible user experience to your audience. Try to aim for page load times of less than 1 second. This means leveraging caching, compressing any large images on the site, and acquiring the best hosting possible. For those with WordPress sites, Siteground is a great option and is the hosting service I utilize to host jimmilan.com. Conor does an excellent job of acknowledging his Irish fans that are so supportive of him and consistently travel far and wide to come see his fights. Always show appreciation to your audience. Offer them sales, discounts, and run contests to show them that you appreciate their business and appreciate their engagement with your brand. Take the time to craft genuine “Thank You” messages on your social media properties and let your audience know that you are truly grateful for their business. These seemingly small things often have a big impact in terms of increasing brand affinity and loyalty. These digital marketing lessons will put you on the right path toward fighting your way to the top of your industry. One of the most important lessons to take from Conor is to always believe in yourself. Believe in your product and/or service and believe in your brand. The right people will respond to you. And who knows? You could end up growing a following that rivals Conor’s.